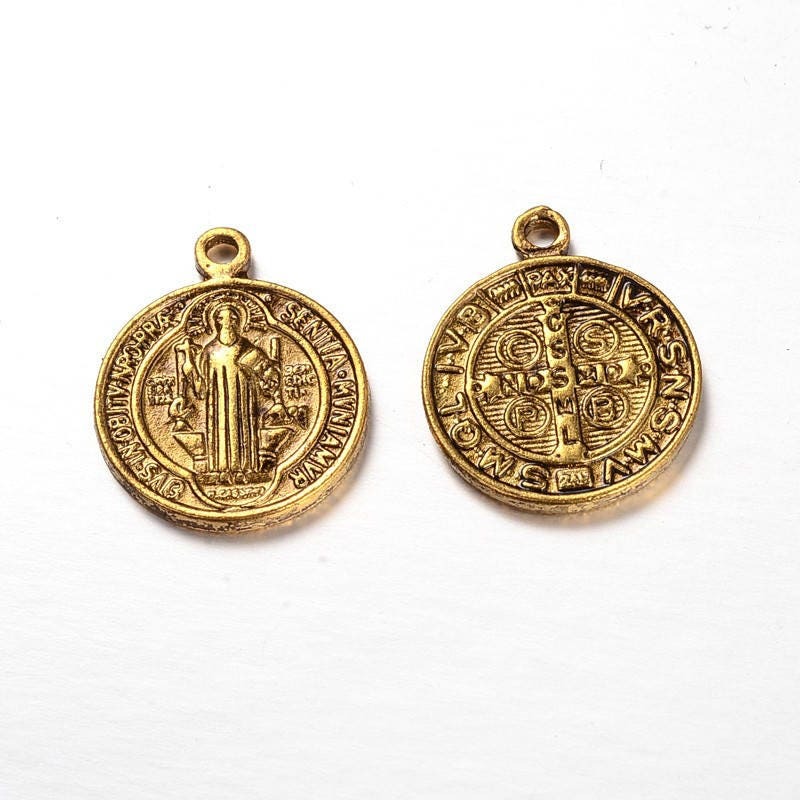 A bulk lot of 15 St Benedict charms in antiqued gold coloured metal. He was the patron saint of Europe and students. One side has a religious figure (San Benito / St Benedict) and the other a cross. 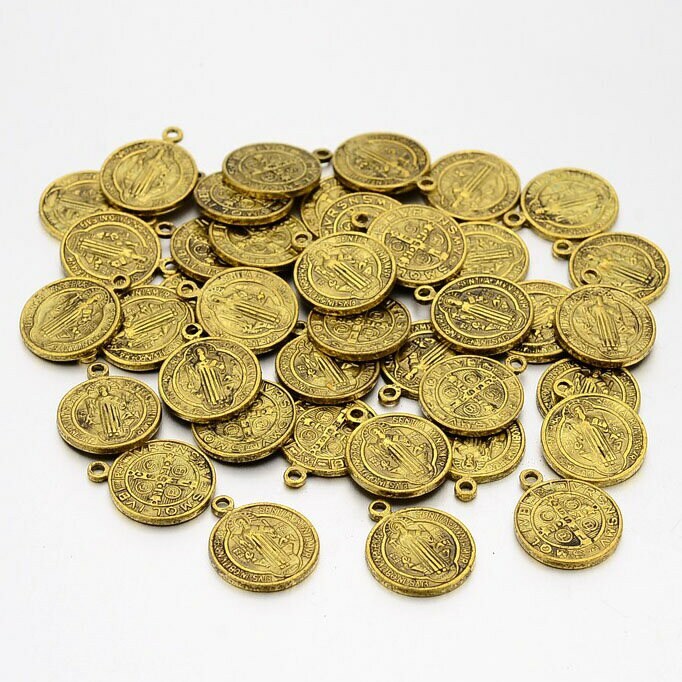 Made from a zinc based alloy metal, these have detailed designs on the front and back.